Do you live in, or own a block of flats? If you are looking for insurance that will cover the flat or apartment building in which you live, you may need freeholder insurance. Freeholder insurance is generally the correct option for a building that has been converted into flats – usually large houses, but sometimes office blocks, warehouses and barns are also turned into apartments. It is also a must for anyone responsible for the maintenance and upkeep of a leased building and the property surrounding it. In some cases, the freehold of the property can be owned by one person who charges the owners of the flats ground rent or a service charge, or it can be distributed amongst the owners of each separate flat. Sometimes the owners hold equal shares of the freehold and other times they own different amounts, depending on various factors such as the size of each flat. 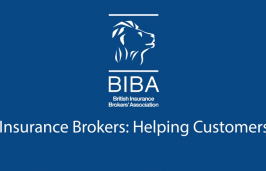 An animation that explains how insurance brokers can help customers – particularly if they’re struggling to find appropriate cover. Communal areas such as hallways, private roads and car parks are protected, and you can also receive employer’s liability cover for anyone hired to provide cleaning or maintenance of these areas. If you require additional coverage – such as liability protection for a residents’ association, lift inspection and maintenance cover, directors and officers insurance or terrorism insurance – these can also be provided. What cover do I need to arrange on behalf of my tenants? You need to ensure you have building cover in place. If you are renting out a furnished property , you should consider getting contents insurance. Can you arrange immediate cover? Yes. You can either speak to one of our specialist advisers on 0121 764 7575 or purchase online. What happens to my tenants if my property becomes uninhabitable? We can usually cover the cost of alternative accommodation for up to 20% of the sum insured, depending on the policy selected, following an insured peril. Can you insure my portfolio of properties? Yes, we can. There is no limit to the number of properties we can insure per landlord. The more properties you insure with us, the more of a discount we can usually provide. Can I have accidental damage cover? Yes. Whether your property is professionally managed or not we can add this on to your policy as an optional extra. Do you provide property owner liability insurance? Property owner liability insurance comes as standard as part of your buildings cover. If you require contents-only cover this will need to be an add-on to the policy. Call our sales team on 0121 764 7575 for more information. With Adler Insurance, you can be confident that, in the event of the worst happening, your claim will be handled by a dedicated claims team. Simply contact our team using the details within your policy documents, or call them direct on 0121 764 7563. They will talk things through with you, guiding you through your next steps and the whole process. Adler Insurance Brokers has teamed up with Aviva Risk Management Solutions to offer their commercial insurance clients free access to a wide range of risk management tools and services. How Can Commercial Property Insurance Protect Your Business? It doesn’t matter whether you own a dentist’s surgery, a newsagent or a block of offices, commercial property insurance is vital for protecting your assets. Find out how.